So for accountability reasons I have decided to do a monthly post with a new book I’m reading each month. While I’m planning on doing one book a month I’m also going to go at my speed so depending on the audiobooks I get from Audible I may do more than one. 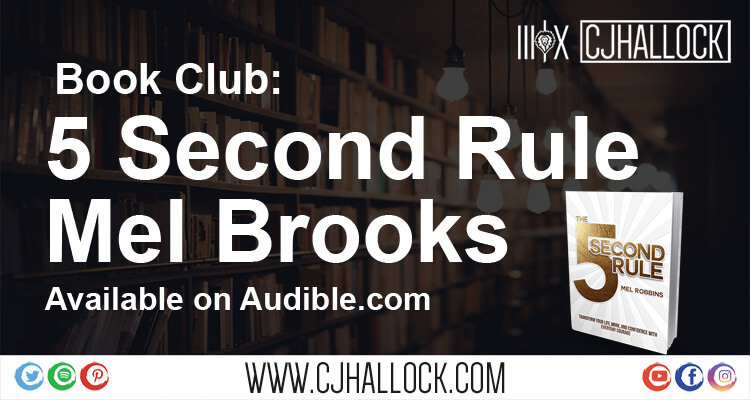 After digging through Audible trying to decide what book I’m diving into this month I found “5 Second Rule” by Mel Brooks. I’ve already started the book and got about an hour into the audiobook so far. It is read by Mel Brooks and so far I love this book! I’m going to continue to add to this as I finish the book.